You may not immediately think you need a dry cabinet or dehumidifier in your life, but you’d be surprised by how humid areas around the US and abroad can get, even regions that don’t seem like the typical humid zones. 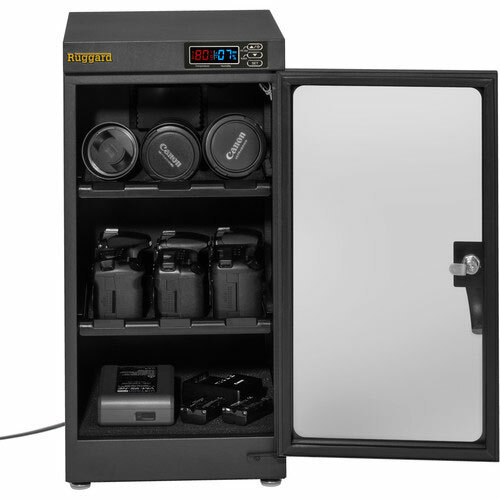 The Ruggard electronic dry cabinets aim to solve the problem of relative humidity affecting your valuable gear. We’ve all heard horror stories from global photojournalists about their cameras and lenses developing fungus from humidity in extremely hot and damp environments. In those situations - and locals of course already know how to protect their valuables - dehumidifiers are an absolute must. But what if you live in areas of North America where you don't really think about your equipment getting damaged by the environment? Is a dehumidifier or dry cabinet necessary? 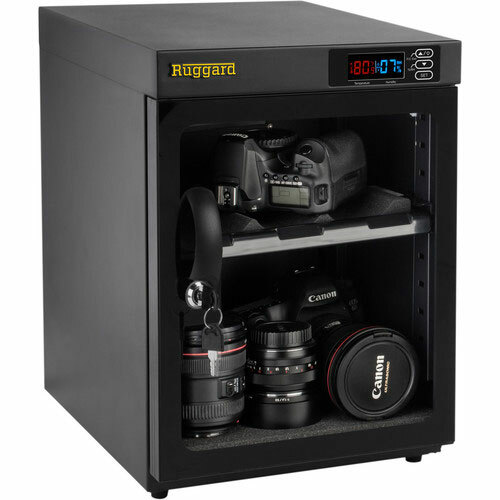 We think the Ruggard Dry Cabinets do a fantastic job as a dehumidifier for your camera gear, and there are several different sizes available, based on how much gear you want to store in one. For our review, we went with the 235L model. 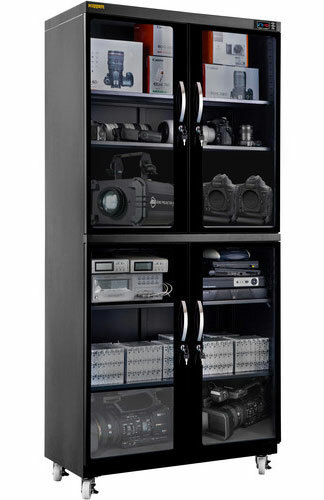 In our opinion, in addition to the dehumidifying features, the Ruggard cabinets are also just excellent shelving solutions for all your gear, including laptops and tablets, hard drives, video accessories, in addition to your cameras and lenses. They are versatile, lockable, and to boot, they keep your gear free of dirt, dust, and moisture. We’re in the Pacific Northwest and to be honest, we don’t think about relative humidity much. It’s not like the midwest or east coast in the summer, where you want to change shirts several times a day. Our summers can be hot but they don’t feel damp. 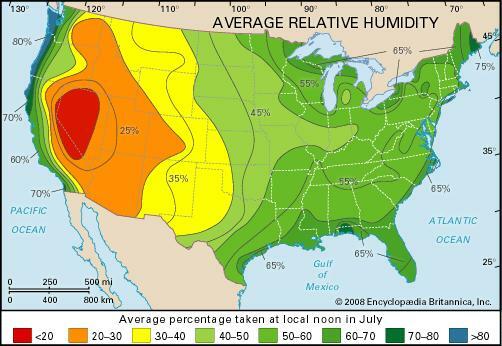 And yet, if you look at the average relative humidity, the coastal region in Oregon and Washington are some of the most humid areas in the country. Which of course makes sense, because there's a lot of moisture in the air along the coast. If you look at the average humidity, state by state, pretty much every region sees humidity shifts throughout the year. Our town fluctuates between 60-80% relative humidity, with 73% as the average. 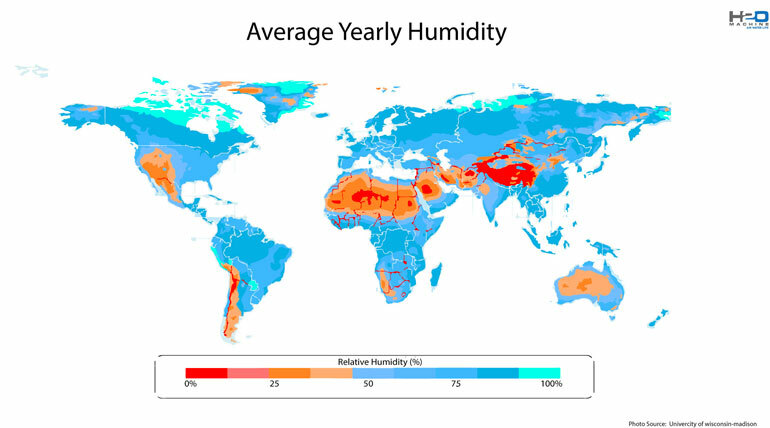 The average relative humidity around the globe can also be high in areas where you don’t normally consider “humid.” That’s because the relative humidity can actually be higher in cold regions, as compared to absolute humidity. Here’s a more in-depth explanation. 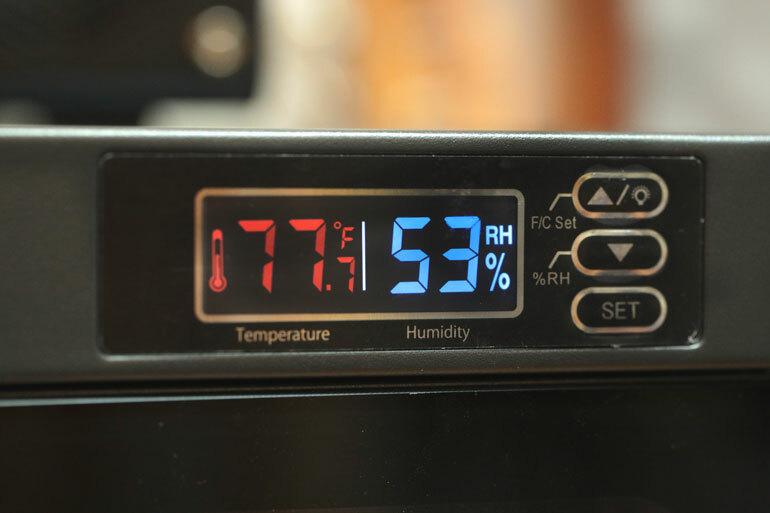 So even if you don't feel like you live in a humid area, there are good reasons to consider a Ruggard dehumidifying cabinet to store your valuable equipment. Ruggard is known for making products that protect your gear from the elements. 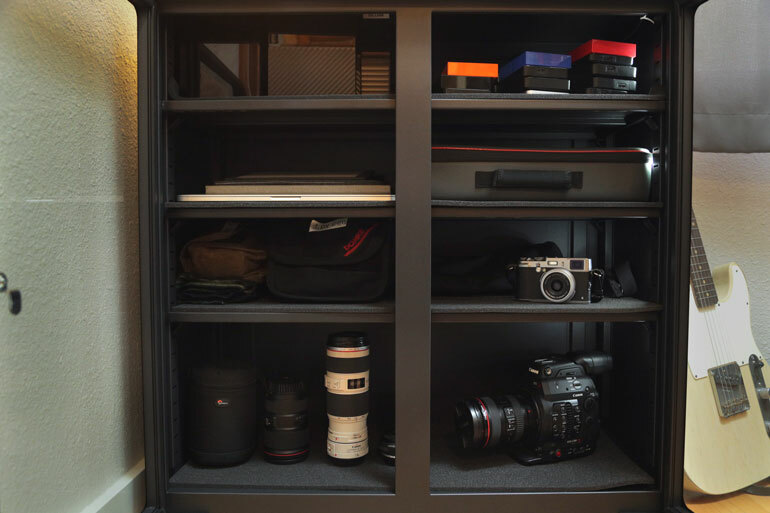 Their dry cabinets may be a little more furniture-like than their bags or cases, but they have the same goal as all the other Ruggard products: keep your photo, video, and tech equipment safe and organized. For remote work or travel, Ruggard does make some portable ﻿dehumidifiers﻿﻿ and dry cases that protect your gear clean and dry. 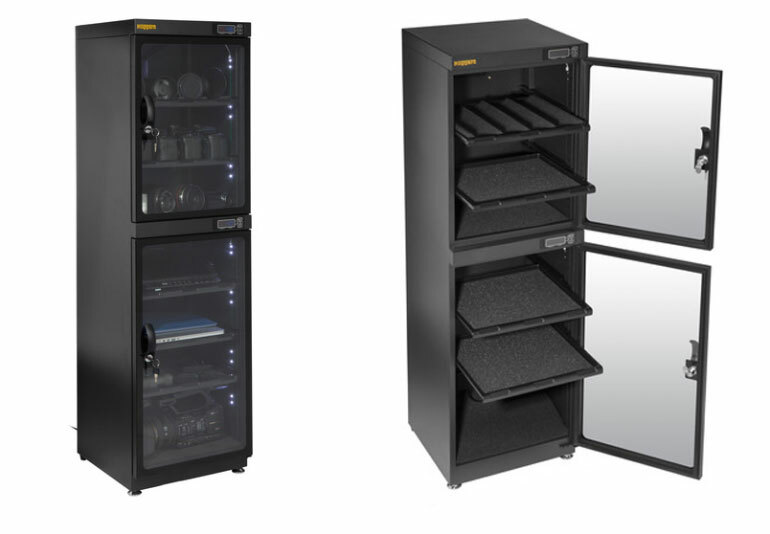 But for home or office use, the Ruggard electronic dry cabinets are the solution for storing your equipment safely when it’s not in use. 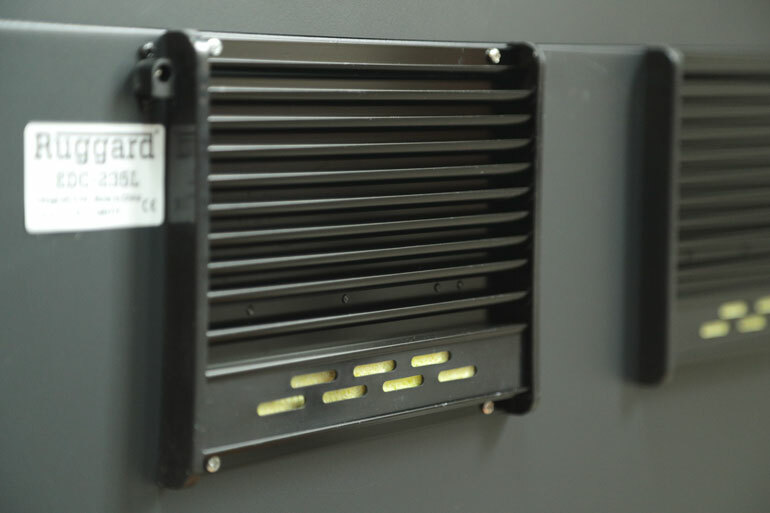 The cabinets use a TE Cooling Wafer that regulates the relative humidity inside the units, maintaining a level of 35-60%, which you can select to the degree level. It can take 1-3 hours for the humidity adjustment to settle, but it happens silently and automatically without you having to think about it. Each of the cabinets operate without a fan or compressor, which makes it quiet enough that you don’t hear it at all. It’s also dripless, so you don’t need to change a water tray. 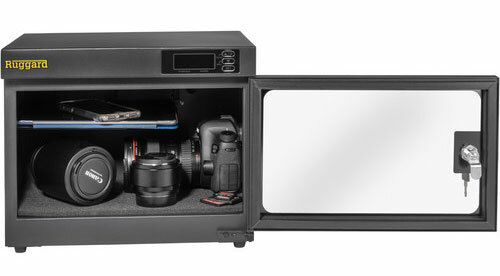 So just by keeping your gear inside one of these cabinets, rather than on your current shelf, book case, or inside your bags, you’re ensuring a longer lifespan of your cameras and lenses by preventing fungus and corrosion. Initially, we were a little skeptical about whether we really needed a dehumidifier for our gear. After all, we’ve used and abused our gear all over the country, including several years in subzero temperatures in Alaska, and more recently in extremely dusty lumber mills in Oregon. If our equipment can handle these extreme environments, do we really need to baby the gear when we’re at home? Well it turns out, the Ruggard dry cabinets serve an important function even if you don’t think you need the dehumidifying feature. 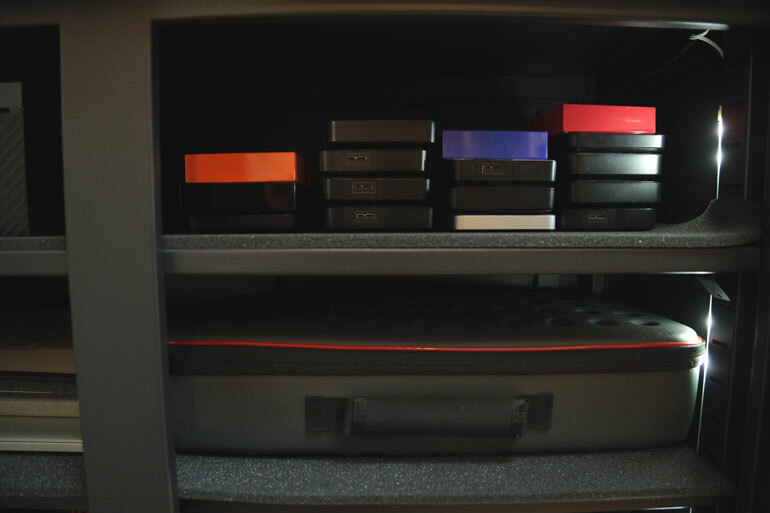 They help you store your gear, with intention, organization, and in a way that feels much better than simply tossing your things on top of your current shelves. The cabinet shelves are adjustable, so you can play around with wide and narrow shelves depending on the kind of gear you’re storing, and what works best for your organization. And the glass doors have lockable keysets included, which means you can keep your stuff from prying kids, roommates, or office colleagues. No, they don’t offer the kind of protection that a safe does. 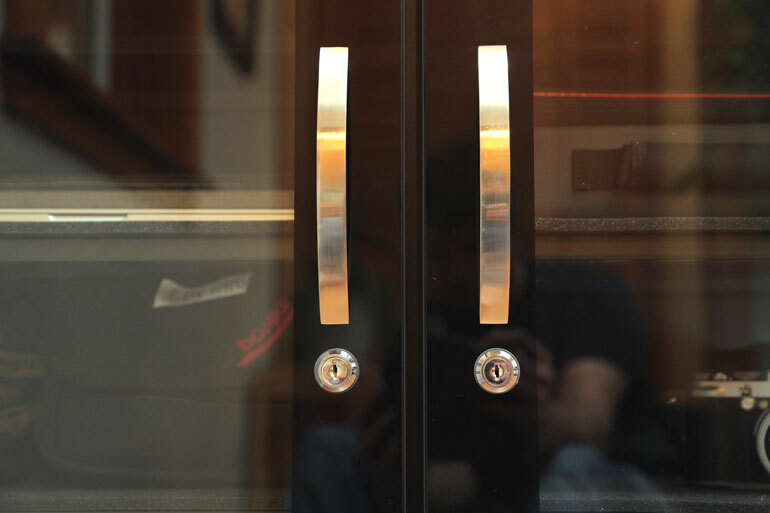 So if you’re looking to keep your investments completely protected from intruders, then the glass door on a Ruggard cabinet is not going to give you that kind of peace of mind. But as an upgrade to the open shelving you might already have, a lock and a couple sets of keys is a nice feature in the Ruggard cabinets. Most of all, though, we really like how the Ruggard dry cabinets look and feel, both inside and out. The interior lights are a nice touch. The cabinets make us a little more protective of our gear and maybe even gives us a satisfaction in the things we own, more than keeping a bunch of stuff in bags or strewn around on a shelf. And rather than just focusing on protecting your camera and lenses, why not place your other tech and camera accessories in it too? We placed all of our project hard drives from the last 4 years into the top shelf (we use the WD My Passport for editing and the WD My Book for secondary backup). 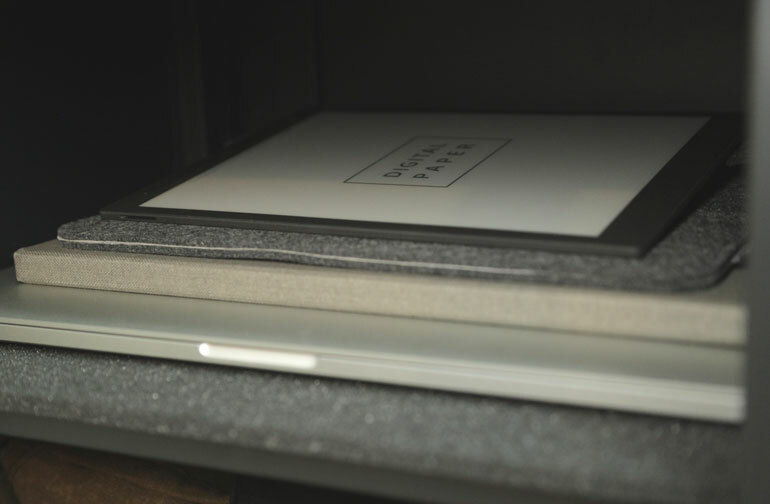 On the second shelf, we placed our Macbook Pro, iPad, and our much loved Sony Digital Paper (during the few times when we’re not using it), as well as a DJI Mavic Pro in a custom case. And in the bottom two shelves, we can fit a Canon C300 mkII, a Canon 1DX mkII, an entire lens kit, batteries and chargers, audio, and even a few small lights. But that’s for the 235L model that we’re using. 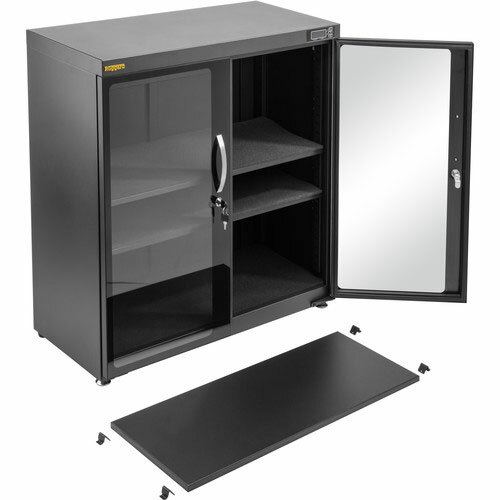 Let’s take a quick look at the various sizes the Ruggard Dry Cabinet comes in. 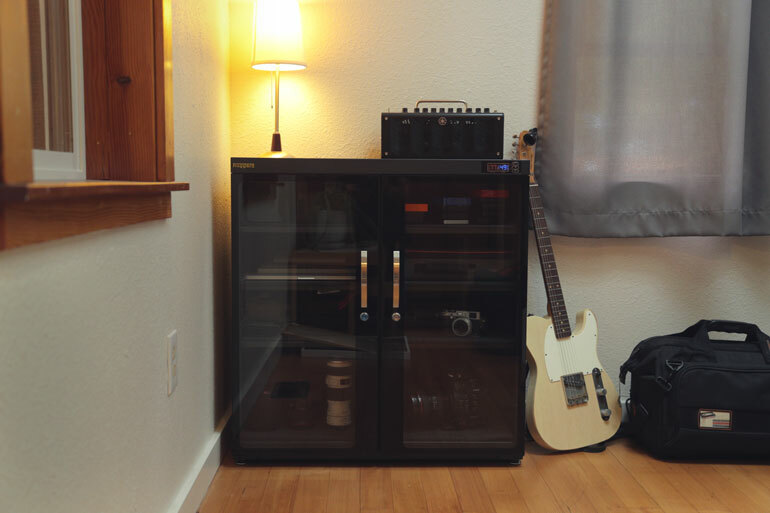 The 18L model is the smallest Ruggard dry cabinet. Apart from a little fixed shelf in the back, there are no adjustable shelves, so you can only stack your gear inside its main space, which is 7.8 x 13.7 x 9.1 inches. If all you need is a dehumidifier for one DSLR or mirrorless camer and 3-4 lenses, the 18L will do. More specs are here. 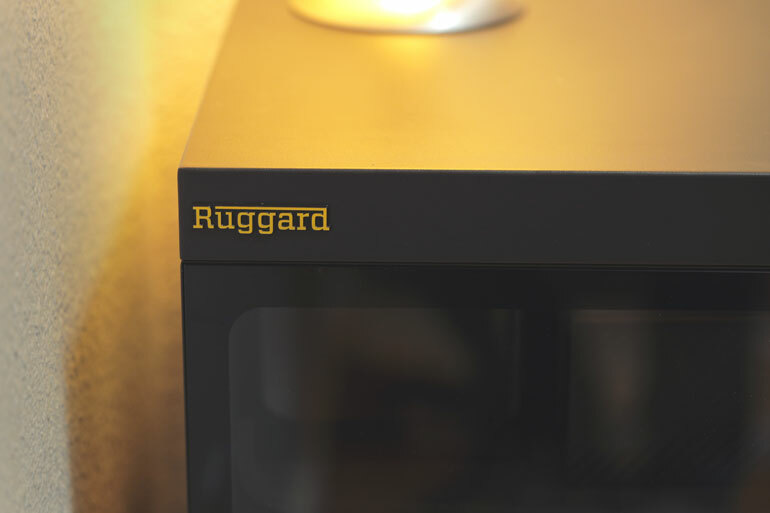 The Ruggard 30L is the next smallest of the Ruggard dry cabinets. It has one adjustable shelf, and can store one or two camera bodies and 5-8 lenses. This is probably the most popular model because it’s affordable enough for most people to buy, without doing a lot of soul searching whether they want to invest in a dry cabinet. And it fits a decent amount of stuff. It’s also small enough to fit on a shelf, so you don’t have to put this baby in a corner. But be aware that it weighs about 15 lbs, so when you add the weight of the gear inside it, you’ll want to make sure whatever shelf it’s sitting on is sturdy and can handle 40-50 pounds. The 30L is 11.4 inches wide x 12.6 inches deep x 16.5 inches high. The Ruggard 50L mode﻿l has two adjustable shelves, so you can comfortably fit both your camera bodies, lenses, and accessories like batteries, media, and lens filters. Like the 30L, the 50L model has one shelf that has a foam lining specifically contoured for lenses. The 50L model is 11.4 inches wide x 12.6 inches deep x 23.8 inches high. It weighs 20 pounds. If you only have one camera, you can store it with a lens attached, plus extra lenses above, and accessories on the bottom. 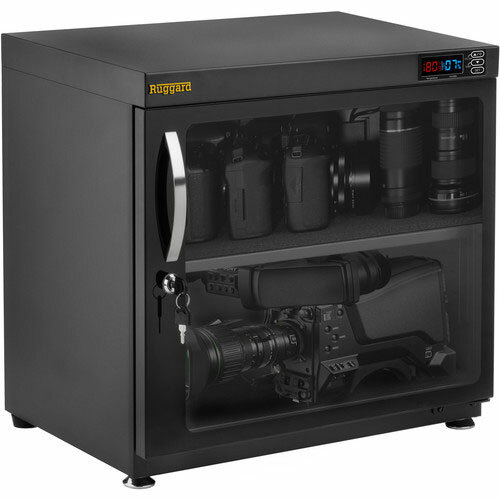 The 80L ﻿Ruggard cabinet is currently the best seller at B&H Photo. It has a wide base with one adjustable shelf. 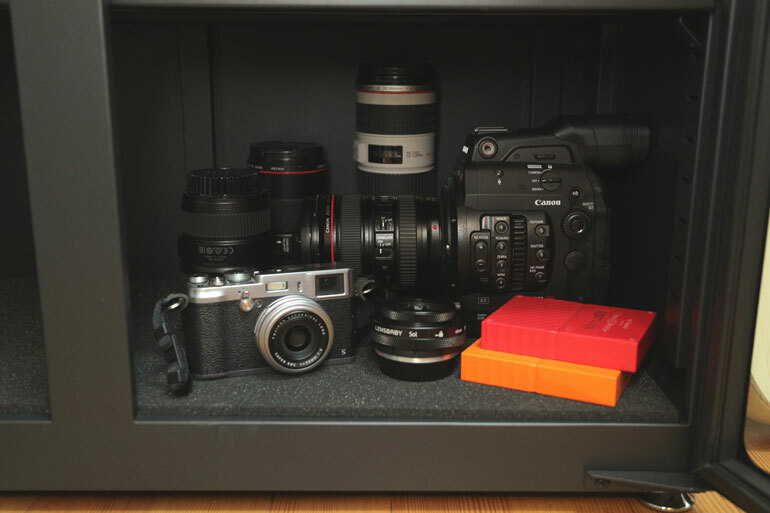 This setup provides some flexible space where you can keep your cinema camera or camcorder on the bottom shelf, plus lenses, media, and other camera bodies on the top shelf. 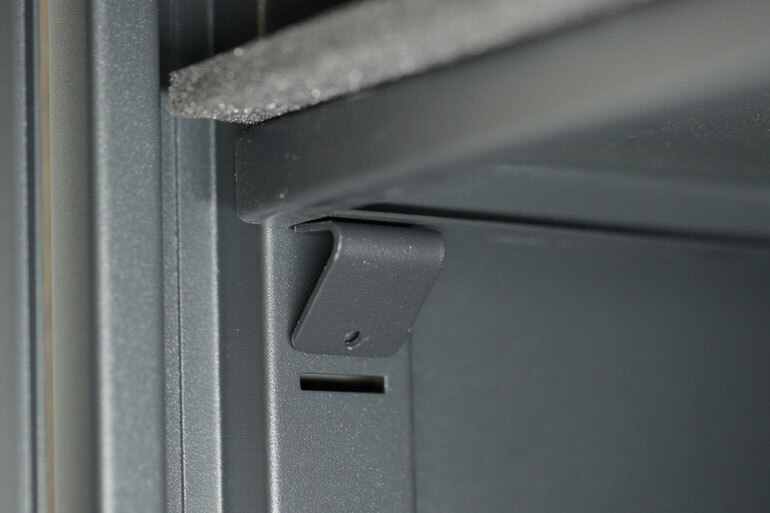 Unlike the 50L, 30L, and 18L, the 80L model has a steel shelf rather than a plastic shelf. The foam lining is flat rather than contoured for lenses. The 80L model is 21.2 inches wide x 14.3 inches deep x 20.3 inches high. The Ruggard 120L model is the first size that really feels like a piece of furniture rather than a square cabinet you can place on top of a table or shelf. The 120L model is tall rather than wide. It’s 14.9 inches wide x 15.4 inches deep x 39.9 inches high. It has 5 adjustable plastic shelves, including one contoured for lenses. With this many shelves, you can fit not only a camcorder, camera bodies and lenses, and camera accessories, but also a laptop or tablet, light panel, hard drives, you name it. The Ruggard 180L cabinet is the next step up in height from the 120L. It’s the same 14.9 inches wide x 15.4 inches deep, but it’s 52.9 inches high. The 180L actually has two zones, each controllable to a specific humidity value. Think of it like two Ruggard cabinets stacked together, with one power cord. There’s a lot of room in the 180L model for a variety of camera gear and other electronic gadgets. The two sections means you can better organize your gear, and when you open one door, the incoming humidity doesn’t affect the other zone. In some areas where it’s really humid, opening the door to a dry cabinet can make the humidity level immediately rise to the level of the room, so having this seperation is a nice feature in the 180L. 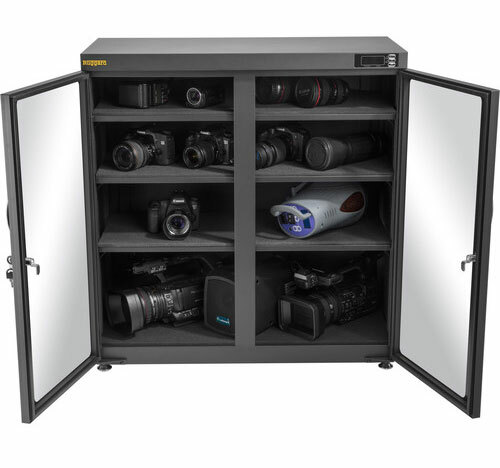 The Ruggard 235L dry cabinet is the model we have and we feel is an excellent size for storing a variety of camera equipment and accessories, laptops and tablets, as well as hard drives. This model is wide enouigh to warrant a double door. It’s 31.8 inches wide, 14.6 inches deep, and 34 inches tall. In our opinion the 235L is the perfect size and design to place in your home or office, since it’s the size of a decent piece of furniture, but not so tall that it becomes a hazard for children or is difficult to find room for. We’re able to keep several cameras and lenses in the bottom compartment, a few years worth of media drives in the top compartment, and a variety of electronics and accessories in the middle. This unit is not lightweight - it’s 76 pounds on its own. You’ll want help taking it out of the box and moving it in place. But like the other models, the 235L has adjustable feet so you can make sure it’s completely level. The difference between this and the other models is that the steel shelves are not pull-out drawers. So you have to reach to grab some gear from the back. Finally, there is the biggest and baddest dry cabinet in the Ruggard lineup, the 600L. This is roughly equivalent to stacking two 235L units together. It requires 4 doors to access all the gear you can think of storing. The 600L is 160lbs, 33.5 inches wide, 16.9 inches deep, and 72 inches high. It comes with wheels, so you can move it around easier. The interesting thing about the 600L model is the picture Ruggard provides only has illustrations of gear inside it. Maybe because not a lot of people choose this model? Also in the picture, the top cabinet has the original boxes for the camera bodies. You know there’s a lot of space in this cabinet when you’re storing the cardboard boxes that your gear originally came in. We also find it interesting that it doesn’t have dual humidity zones like the 180L version. However, it uses the same power cord and claims the same 1-3 hour duration to reach your preferred humidity level inside the entire cabinet. 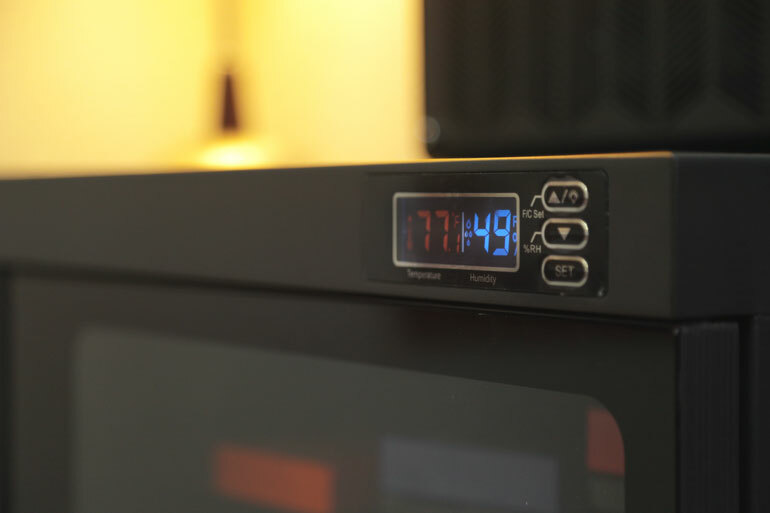 Although the Ruggard dry cabinets are intended for camera gear and electronics, dehumidifiers can be used for a lot of things that can be damaged by high humidity levels. 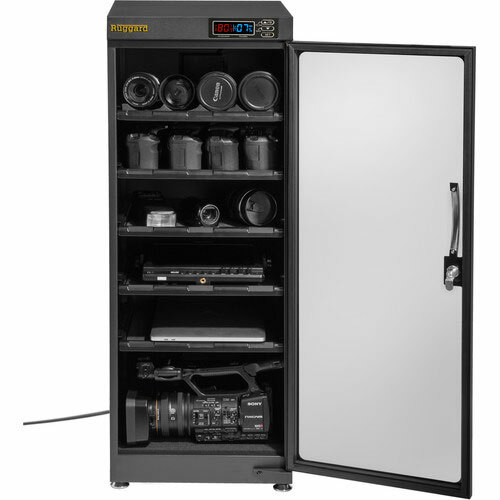 In our 235L model, we store a couple cameras, lots of lenses, along with a laptop, a couple tablets, batteries and chargers, and most importantly, our hard drives. 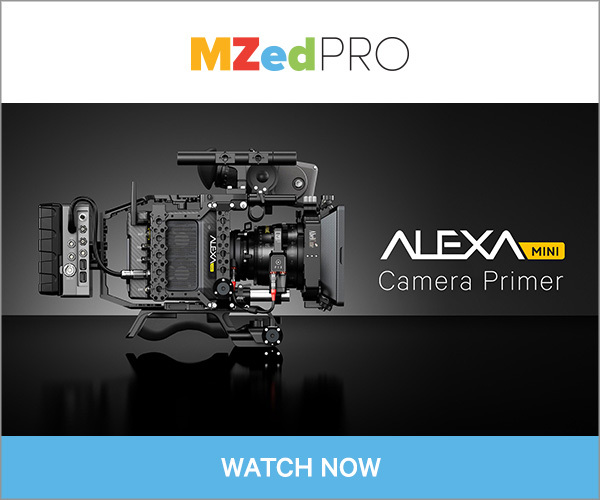 Realistically, we can replace a damaged camera or lens, but footage and projects can’t be replaced. 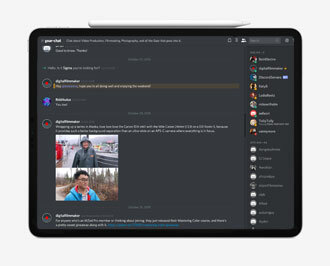 That goes for external hard drives as well as files on a computer or tablet. That’s why it’s so important to keep several copies of footage and computer files backed up, including cloud-based storage if that’s within your means. 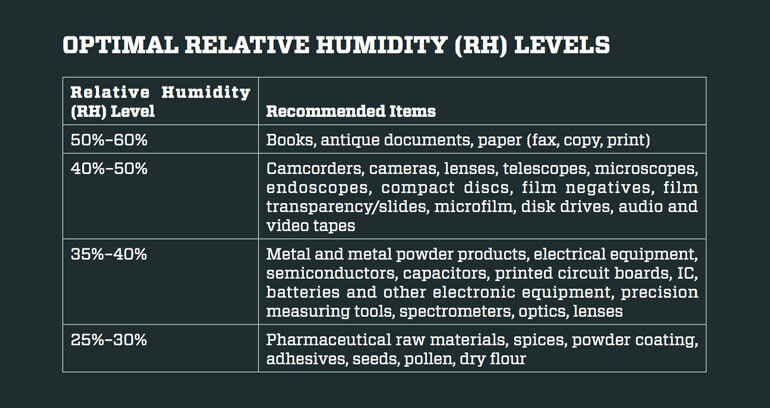 Ruggard provides a summary of optimal relative humidity levels for a variety of things, outside of cameras and electronics. For example, you may want to keep documents or books in a dry cabinet. Or old film. Or electronics such as measuring tools. There are many reasons to invest in a Ruggard electronic dry cabinet, even if you don’t think you need a dehumidifier. For us, just having a stylish and secure cabinet for our valuable electronics is a good reason to go with a Ruggard dry cabinet over a traditional shelving unit from your local hardware store. Finally, it’s worth mentioning that Ruggard offers a 5-year limited warranty on these cabinets. So if something happens to them during the initial shipping, or if the electronics goes out because of a defect, Ruggard will have you covered.